Envelop your senses with decadent notes of dark vanilla, white tea and wild orchid. Sugar Vanilla Spa treatments replenish and refine with a nourishing botanical blend of olive oil and brown sugar. 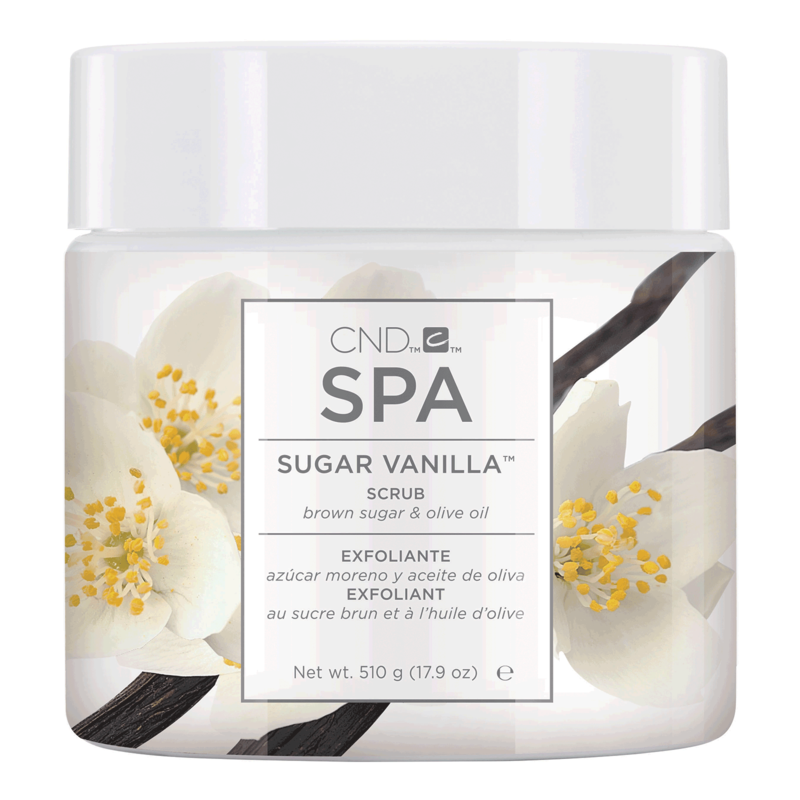 Indulge in the pleasure of Sugar Vanilla from the CND™ Spa Collection. - Contains natural oils to help prevent moisture loss. - Gives skin a dewy, nourished appearance. - Reveals smoother, healthy looking skin.